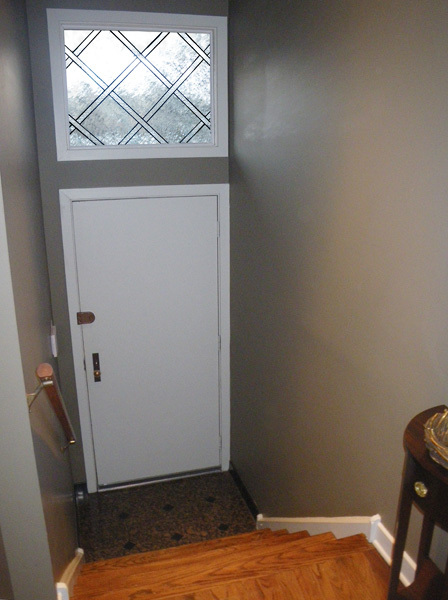 Here I collaborated with a carpenter to design a frame that enclosed an open modern stairwell. The woven pattern of clear textures lets maximal light into the space, while still providing a barrier to falling. 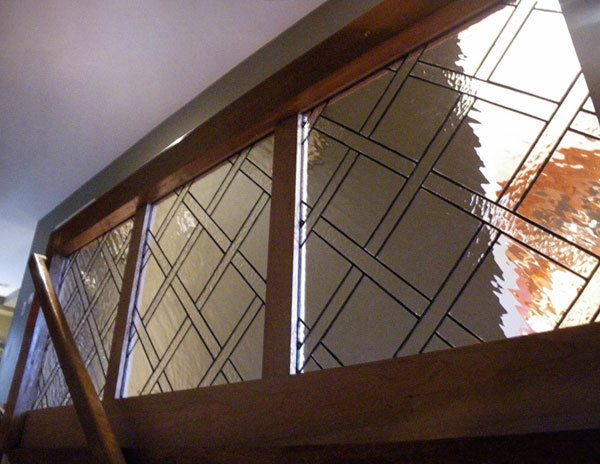 The transom continues the pattern in an adjoining vestibule.